It doesn’t matter if your wine collection is only a handful of wine bottles or thousands of vintages that you have gathered from different places, one thing is always important: storing these wines properly in order to keep them at their best quality. Proper wine storage is the key to making sure that wines age tastefully. You should know the essential conditions for proper wine storage. First and foremost, wine should be kept in a temperature-controlled room. Ideally, the temperature in this wine storage room should be between 45 to 65 degrees Fahrenheit. Moreover, your wine collection should be kept away from sunlight and other sources of ultraviolet light and heat. It is important that wines are stored on their side so that the wines touch and moisten the corks. This position is necessary to prevent the corks from drying out and shrinking, which would otherwise result in air going into the bottle, thereby exposing the wines to untimely aging. Since all wines need to be resting horizontally, you must consider the space that you’ll be building your custom wine cellar in Los Angeles in. The space should be able to accommodate the number of wines that you intend to store. Wine racks can be made from different kinds of material, like plastic, metal or wood. Wine racks will be the resting place for your beloved wines. You can get creative in building wine racks. You might want to use reclaimed materials, such as old wine bottle cases, and turn it into a unique wine rack. Different custom wine cellars in Orange County vary in wine cellar cooling units. One reason why they vary is that heat load has to be calculated inside the wine storage room, and the result of the calculation will determine the right wine cellar refrigeration unit for that specific wine cellar. 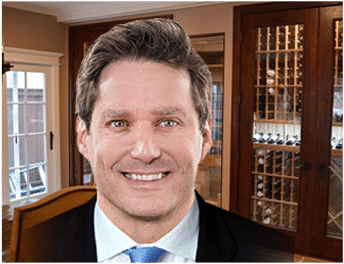 Although there are many aspects of designing and building a wine cellar that people can choose to do themselves, it is still safer and wiser to seek the help of an expert. If we do things ourselves, we might miss certain details that can be detrimental to the quality of the wines that we will be storing. There are very competent professional wine cellar designers and builders in California. Seek one and ask for his or her help in creating your dream custom wine cellar in CA. Wine Cellar Specialists are one of the few who have the best wine cellar designers and builders.